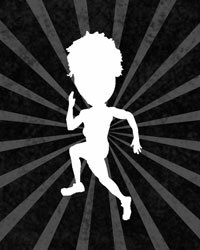 The event website is now live, up to date and registration is open; www.pacificdistancecarnival.ca. The site should answer most of your questions but feel free to reach out at any time. Hope to see you out here in June! "Why not have a real 5000 as well? There are lots of good 5k folks in western canada and there are barely any 5ks for them to race without going south"
There's almost never a high end track meet with a competitive 1500 AND 10,000. Quit yer bellyachin, this is a good event. I hear you but, we felt that in doing so we would dilute the 10,000m fields. Unfortunately we dont have the depth in Canada to make both events on the same evening truly "High Performance" (i.e. WC & OG qualifying times) and we wanted to make the 10,000m the feature event. Hope our theory pans out. Is there an entry standard for the 1500m? Can high school athletes compete or is it limited to adults? Is there an entry standard for the 1500m? Can high school athletes compete or is it limited to adults?" 1500m events are open to all ages and abilities!